Total dependence on God. Jesus proclaimed victory over the powers of darkness. The Holy Spirit as advocate, counselor, guide, and helper—the one who glorifies Jesus. Communion of the saints. 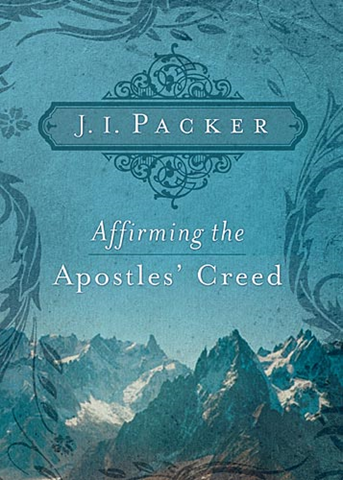 In Affirming the Apostles Creed, Packer explains the meaning and implications of each phrase of this great creed. Each concise chapter concludes with discussion questions and Bible passages for further study. Click here for your free Kindle edition available until October 31, 2009. 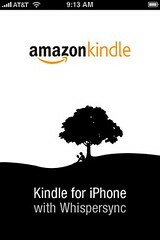 You can also read the book on your iPhone, without a Kindle, by downloading the iPhone Kindle app from the iTunes store. GalleyCat reports on this new short-story platform for the iPhone. The mobile-web savvy folks at Featherproof Books just released a TripleQuick Fiction iPhone app, giving writers a platform to publish 333-word stories–tales that can be told in three simple iPhone screens. The creators estimate that these flashy stories can be read in under three minutes, and the simple design seems fairly addictive. The app will launch with stories by Matt Bell, Michael Kimball, and Shane Jones (his story page is pictured here). CourseSmart, a California company that has already made more than 7,000 digitized textbooks from 12 publishers available to its subscribers through their computers, recently added E-textbooks for the iPhone to its offerings. Users can download the application that allows them to read the new iPod-friendly texts for free through Apple’s App Store, but users are required to pay for the textbooks themselves at a fee that is about 60 to 75 percent of a traditional book’s cost. Will You Trade Your Textbooks for a Kindle? I mentioned the new Kindle DX yesterday and how some publishers and several universities are collaborating to use it as a platform for e-textbooks. I can see some advantages (less to carry, cheaper books, ease of purchasing books online), but ReadWriteWeb raises some good questions. In some ways, wouldn’t it be more advantageous for students if Amazon and its partners released a Kindle for the Desktop similar to the Kindle for an iPhone app? Some of the current eTextbook offerings, like CourseSmart, already give students the option to download eTextbooks for a considerable discount. But at least on CourseSmart, these texts are only available as 180 day subscriptions. For most students, though, that is probably not too much of an issue. Reading textbooks is a very different activity from reading a regular book. Students, hopefully, don’t just read the text, but actively take notes, highlight sections, and annotate their texts. While the Kindle offers some of these functions, the absence of a touchscreen makes for a rather clunky experience. In addition, students who use notetaking software would probably also want to be able to copy-and-paste text and images from their eBooks to their favorite software (Microsoft has been pushing its OneNote application heavily on college campuses, for example). Kindle eBooks also won’t allow users to print any part of the text. With a dedicated hardware device like the Kindle, students lose all of these abilities and gain relatively little compared to using the laptops they already own. Of course, the Kindle is a great eBook reader, and its screen makes reading a lot easier. But for the purpose of studying, it will remain to be seen if Amazon can find ways around some of the disadvantages a dedicated eBook reader would have over a good desktop application that students could use on their laptops. Are you ready to trade your textbooks in for a Kindle? Colin Creel’s Crossroads: Navigate Your Calling and Career is now available for free on Amazon’s Kindle [and iPhone with the Kindle app] for the month of May. Those looking forward to graduation or seeking wisdom and direction in their career choices will want to check out this resource. Barnes & Noble has taken another step in deepening its role in the digital marketplace, launching its Audiobook MP3 Store on Barnes & Noble.com. The store will feature spokenword audiobook MP3s available for download and transfer to iPods, iPhones, MP3 players and other portable devices. The site is launching with more than 10,000 titles across all genres, priced between $10 and $20 per download. “As the use of MP3 players, iPods, iPhones and other digital devices continues to increase, it is important for Barnes & Noble to continue to expand our audio selections,” said Tom Burke, executive v-p, E-Commerce Barnes & Noble. Overdrive is managing the distribution of titles through the BN.com site. Later this year, B&N is expected to launch an e-bookstore, following its acquisition earlier this year of Fictionwise. Have you heard any good audiobooks recently? Christian Retailing passes on the good news. Zondervan is reporting more than 7,000 free downloads of the Today’s New International Version (TNIV) Kindle edition in the first two weeks since the company began offering the digital Bible version April 4. The promotion will continue through June. Compatible with Amazon’s Kindle book reader, the digital TNIV has risen to No. 36 on the Amazon Kindle charts, followed at No. 37 by Crossway Books & Bibles’ English Standard Version Bible–also a free download. Baker Publishing Group is also offering the Bible in God’s Word Translation as a free download. Crossway has also promoted its ESV Study Bible with a special price of $9.99 in the Kindle store. Company officials told Christian Retailing that the digital Bible version had reached No. 1 on the Kindle chart since its release. 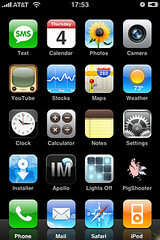 If you download the Kindle app for your iPhone, you can access these on your iPhone as well. I don’t own a Kindle, so I use my iPhone exclusively to read these free downloads. I believe this will also work for the iPod Touch, but I’m not sure. Can someone with an iPod Touch let me know?